The main purpose when selecting the best design for your joint is to obtain optimum strength from the adhesive. Especially applicable when using hot melt adhesives ! To prevent bond failure, use the correct Tecbond adhesive and joint design for your application. Always apply hot melt adhesives over an area and not one single point for best results (line of glue rather than a dot). 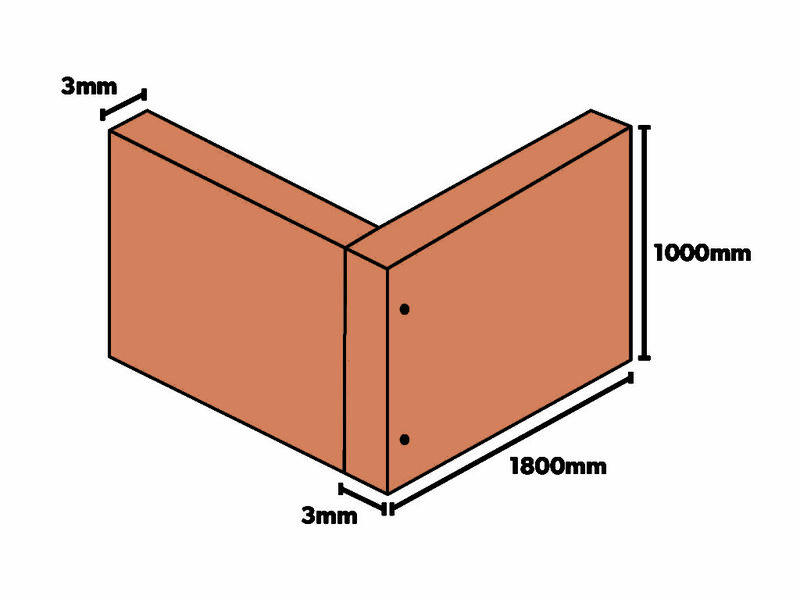 The joint design may be affected by production methods, materials used or the final appearance of the product. 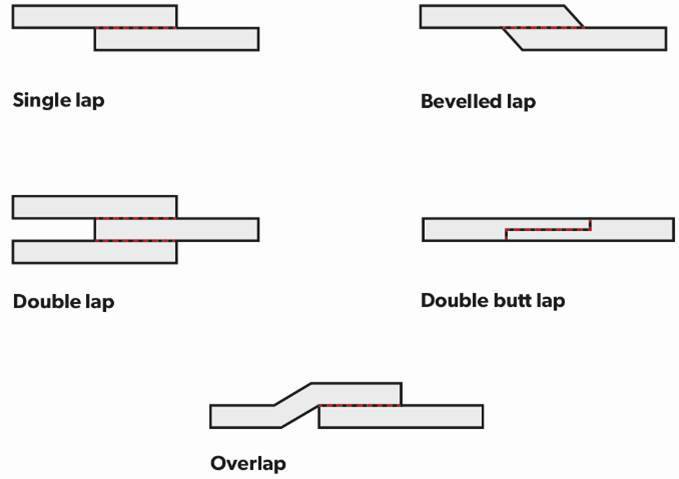 The ideal joint design for hot melt adhesives would be where the adhesive “stress/force” is applied in the direction to where it will be most resistant to failure, see joint designs below. This is a very poor design and will fail when load is applied. Mechanical or secondary fixing will be required ! Other factors may play a role in achieving the required bond, e.g. heat resistance, chemical resistance, gap filling, surface area to glue, open time, whether glue flexibility may be required or the stress/forces applied to the bond area etc. Important: Hot Melt Adhesives do have limitations! Being a thermoplastic product hot melt adhesives soften with heat and return to a solid state by the loss of heat. With this in mind, standard hot melt adhesives are not recommended for applications subjected to heat or direct sunlight. However, we do offer grades with high heat resistance. Water and hot melt adhesives are a bad combination – standard hot melt adhesives are not waterproof and should be avoided for external applications.